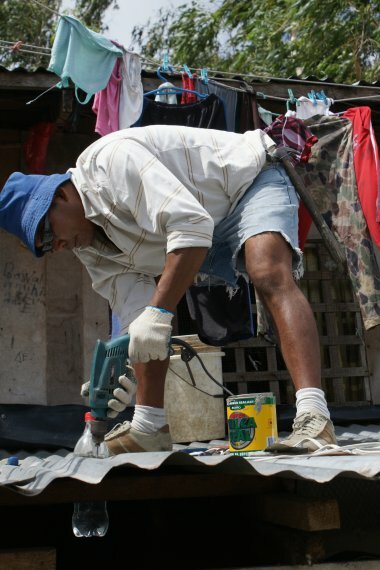 Hundreds of millions of people live in informal settlements worldwide. Many of these chockablock dwellings lack windows or adequate daylight. In tropical locales interiors are often made darker by extended roofing favored for protection from rain and the hot sun. Residents often resort to kerosene, candles, or inventive wiring for light, risking health and safety in the process. Or they simply go without. 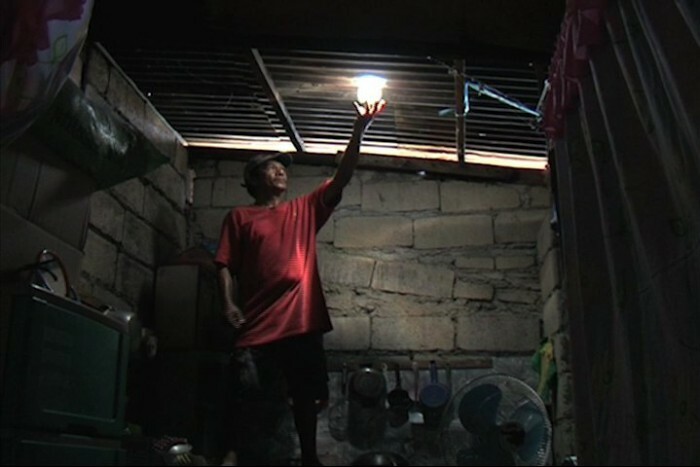 Solar bottle bulb entrepreneur Mang Demi installs a light in Manila. 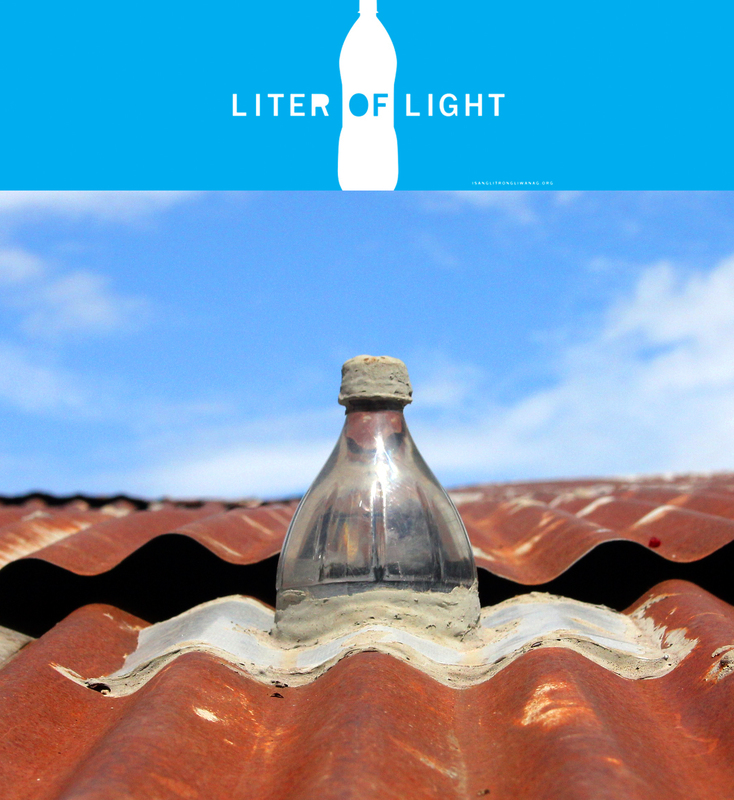 Liter of Light installed in a typical metal roof. Proper electricity is not a common option, especially in the Philippines, which has the highest electricity rates in Asia. 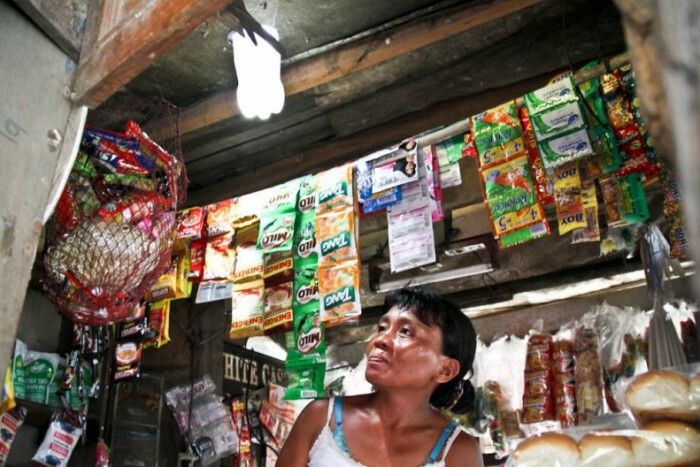 Filipino entrepreneur and activist Illac Diaz created Liter of Light to provide informal settlements with a cheap daytime lighting source that can be produced and distributed locally. 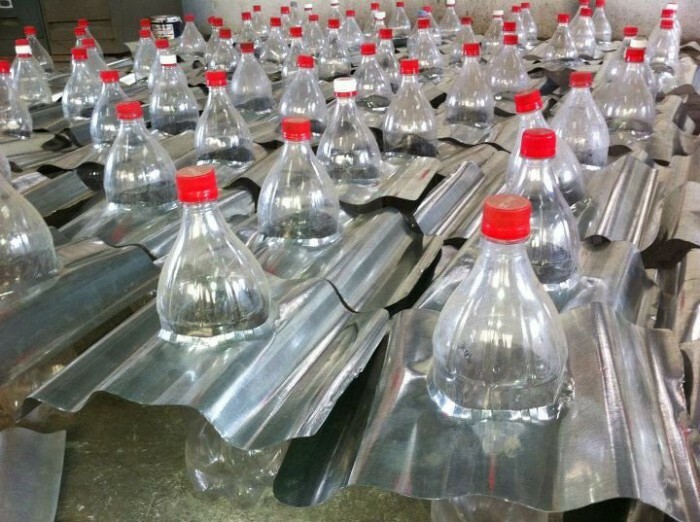 The solution is Diaz’s figurative “liter of light,” a clear plastic soda bottle filled with water and bleach installed in the roof as a skylight. The water refracts the sunlight as it streams through the bottle, dispersing the rays 360 degrees, thereby illuminating the entire room. The recipients of the solar bottle bulbs, who pay about $1 for the bulb and installation, save money on electricity and cut back on the use of kerosene, candles, and other fuels that are responsible for indoor air pollution and fire hazards. 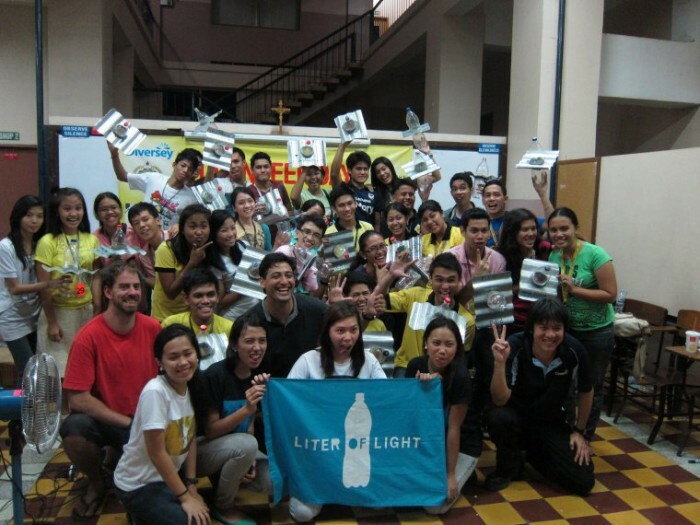 Liter of Light is not a charity. 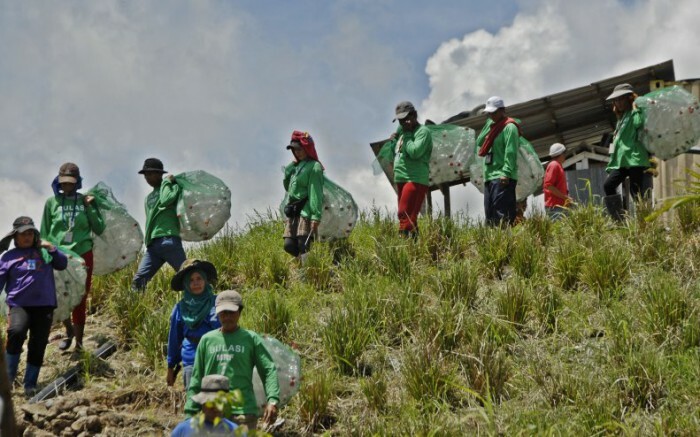 It provides enough initial supplies and volunteers to generate interest, but its focus is on teaching a community how to manufacture and install the solar bottle bulbs, with the end goal of creating green microbusinesses. Liter of Light is widely distributing the technical know-how to produce the solar bottle bulbs, and through a combination of social networking, community outreach, open-source sharing, and hands-on building, the organization has placed tens of thousands of these solar bottle bulbs in informal settlements worldwide. They have also figured out a way to make solar lights for outdoor, nighttime use, illuminating streets that were once dark once the sun went down. Liter of Light has mastered movement building—making music videos to teach bottle bulb construction, organizing volunteers via Facebook, and holding bicycle rallies to help deliver assembled bulbs to community programs that have attracted hundreds of volunteers and raised funds for the campaign internationally. 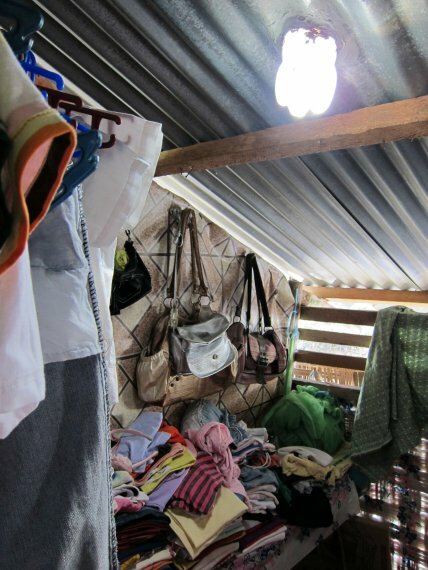 With an open-source model, an emphasis on cheap, locally available or scavenged materials, and strong social networks, Liter of Light has succeeded in creating a highly adaptable solution distributed on an impressive scale. Can improving the built environment in impoverished neighborhoods transform a city? Fajardo and Echeverri implemented a bold program in Medellín. By training architects to build parks and public buildings in impoverished neighborhoods, Medellin was transformed from “world’s deadliest city” into a vibrant, livable place. Can design challenge inequality? David Barragán of Al Borde discusses how design can empower a community to become their own designers & builders.